Whether you have decided to pursue a legal separation, an annulment or a divorce, Mach Law is here to guide you through each and every step in this complex process. There are many steps that must be taken that may be unique to each case, such as division of personal and community property, pension plan division, spousal support, and in some cases, agreements upon custody, child support and visitation of the children involved. When a couple is having difficulty in deciding on the financial and legal terms of ending their marriage, it often becomes confusing and confrontational. 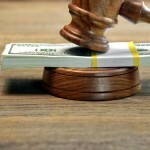 You may choose to avoid this situation by seeking the help of an attorney. Mach Law ensures quality and individualized services to assist couples in coming to agreements that would otherwise not have been possible between the parties themselves. The attorneys at Mach Law will provide solutions that are tailored to your best interests and protect your legal rights. When you and your spouse decide to end your marriage, the first step is to choose what route you will be taking in ending the relationship. It is important to be knowledgeable of the different intricacies of divorce law. The family law attorneys at Mach Law can guide you through your various options, answer your questions, and provide you with straightforward advice regarding various decisions that could impact the future of you and your family. You and your spouse may be unsure about seeking to terminate your marriage. You should be aware that you have the option to decide to legally separate instead of filing for divorce. There are a number of reasons that people choose to file for legal separation, for example, to maintain the marriage and the benefits of health insurance. The attorneys at Mach Law can prepare all necessary documentation in order for your separation to be legally valid and binding. Some individuals may have the right to have their marriage annulled in the eyes of the court. This is called an annulment. There are strict conditions that qualify an individual for an annulment. When an annulment is granted, legally, your marriage will never have legally existed. You should be aware of the benefits and consequences of seeking an annulment. For example, opting for an annulment may forfeit the rights granted to those seeking a divorce or separation involving children, property, assets and spousal support or alimony. The attorneys at Mach Law will be happy to assist you with determining whether an annulment is an option for you and if it is an option, we will guide you on whether it is the best option. Upon choosing to marry, the intentions of the parties involved are to stay together forever. However, as time evolves, circumstances change, people change and sometimes divorce becomes reality. If you choose to file for divorce, all that was acquired by the parties over the course of the marriage must be equally divided, or divided according to the conditions stated in a prenuptial or post nuptial agreement. Below, you will find a number of areas related to divorce that Mach Law and it’s divorce attorneys are here to help you with. 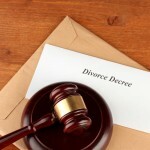 Deciding to file for a divorce may be one of the most life-altering decisions you will make. The divorce lawyers at Mach Law are here to help make this stressful time easier for you and your family. Our goal is to be attentive to your concerns, answer all of your questions, give you legal advice, guide you through the process and zealously advocate on your behalf. We will evaluate your particular circumstances and provide you with guidance so that you can make informed decisions to protect you and your family’s best interests. This will, no doubt, be a difficult time in your life with many changes that may affect not only you, but your children. Our San Diego divorce lawyers are dedicated to providing you with individualized attention in order to eliminate the stress, confusion or uncertainty you may be feeling through this process. It is crucial for you to become knowledgeable and aware of your rights and the legal challenges you may be facing. California is a “no fault” state. This means that if either person in the marriage wishes to legally terminate the marriage, a divorce will be granted, whether or not either of the spouses did something wrong. In many instances, the other spouse is not willing to cooperate in establishing the agreements that are necessary to finalize the divorce case because they do not want a divorce. In California, only one spouse must wish to end the marriage or domestic partnership and the court will grant the divorce.